I would like to introduce our family to you. When my wife, Melissa, and I married 27 years ago we determined that we wanted to live in a way that would serve and encourage other people. We have three sons who are also growing up with a desire to help other people. Our oldest son, Ian, graduated from Biola University with a degree in cultural anthropology. He and his wife, Ariana, live in Long Beach. Our second son Luke is 19. He finished EMT school and is pursuing flight training with a goal of working in Africa. Our youngest son, Trevor, is 14 and he is home-schooling. We currently live in Southern California and I have a job flying private business jets. For a number of years we have considered the possibility of adopting another child. 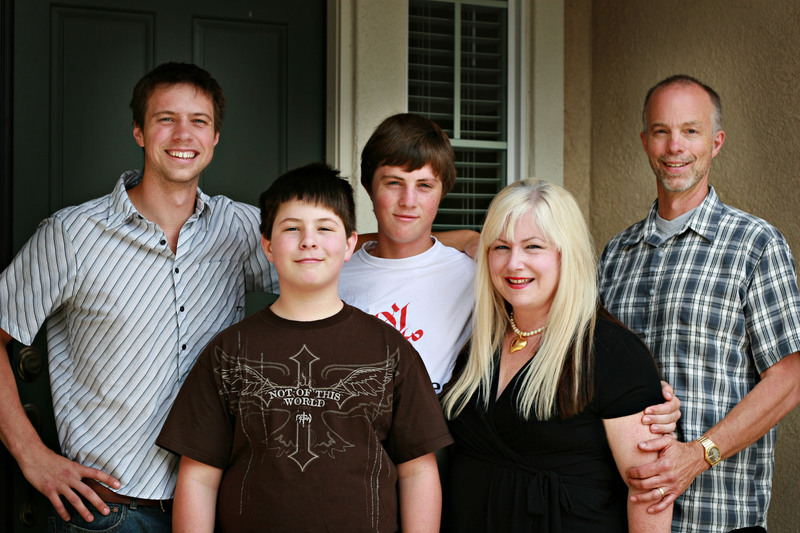 We have also had several kids in our home through foster care. In the summer of 2007 a group of children were visiting California for three weeks from an orphanage in Ukraine and we were asked if we would host one of them. An 8 year old girl named Karina stayed with us and we had a delightful time with her. She expressed a deep desire to join our family, and we all fell in love with her. Naturally, we started an adoption process. In April 2008 we succeeded in contacting the orphanage by phone so we could talk with Karina. During our conversation with her she told us that her two older sisters had joined her in the orphanage! She was wondering if we could adopt them too. This was a great surprise to us. We had known that she had sisters, but we understood that they were not available for adoption. With this information, we decided that I should travel to Ukraine and find out the full story. In May I went there and spent two days at the orphanage. The directors had only good things to say about these sisters. The girls were separated 4 years earlier when their mother went in the hospital with TB. Their mother died died 2 years later. No father was listed on the birth certificates. It was by a miracle that the girls were reunited and they have been inseparable since. By Ukraine law siblings can’t be adopted separately, so our choice was to either take none or all three. We decided to be crazy and take them all! We finally have completed the process, and the girls arrived home on February 14, 2009. Valentine’s day! I finally found this website. It’s beautiful, just like everything you two do. I hope people keep responding. I’ve never seen the mom’s picture, didn’t even know you had it. What a find! Congratulations on your newest family members. Your mother, my cousin Judy, just sent me photos of your daughters. Wonderful. I am in awe of Gods grace working through you to raise three more young people. Who perhaps will grow up as your first three have to continue to give hope and love to others. The fruit doesn’t fall far from the tree does it? !